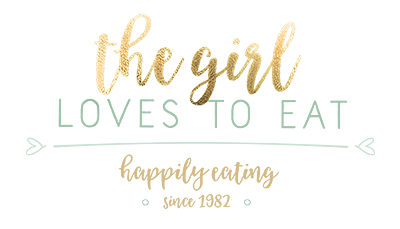 Inspired by one of my favourite after work quick-meals, I came up with this grilled cheese version of it. 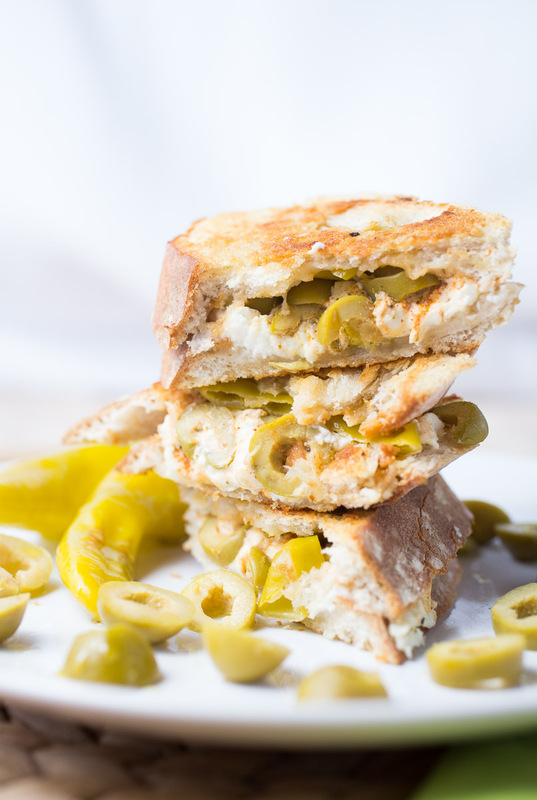 Creamy feta cheese sprinkled with green olives and hot green peppers on crispy baguette bread. 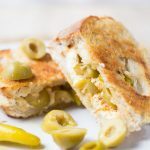 Even though feta is not the best cheese for a grilled cheese sandwich, because it doesn’t melt as well as other cheeses, the mediterranean flavours definitely make up for that. 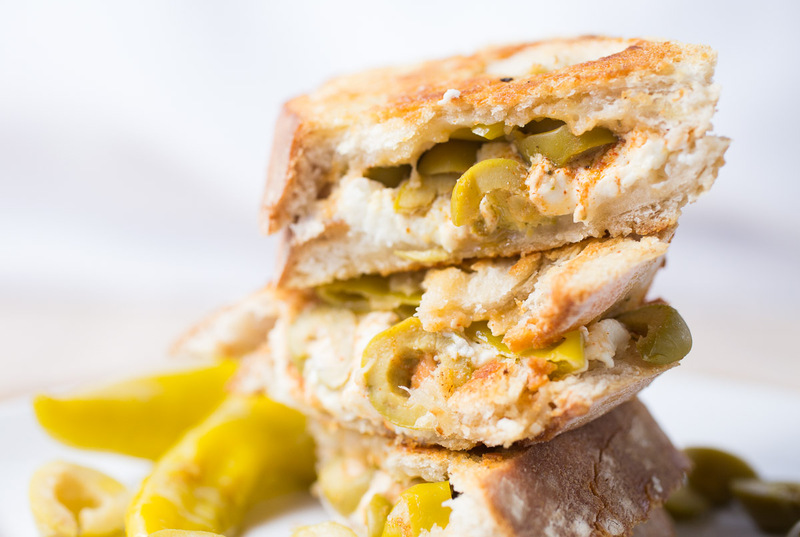 Creamy feta cheese, green olives and green hot peppers on crsipy baguette bread. 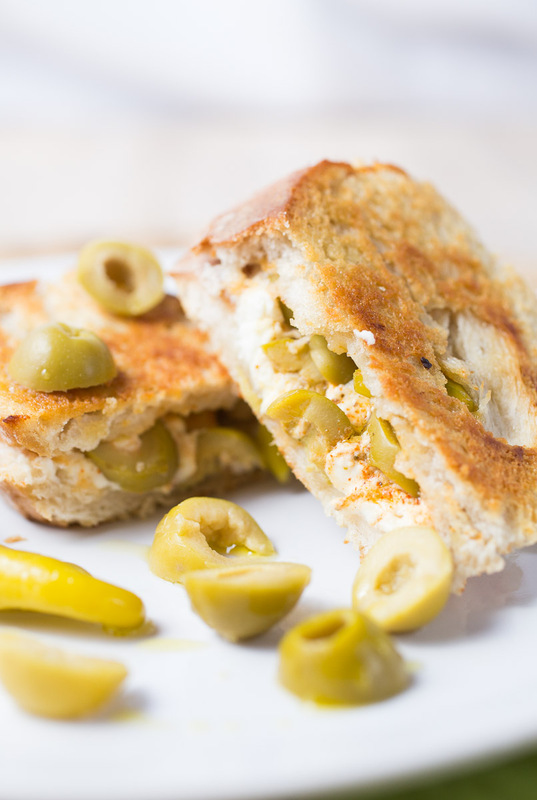 Crumble the feta cheese on two sliced of bread. Add the olives and the peppers. Sprinkle with paprika, oregano and a small splash of olive oil. Add the top slice of bread and butter the outsides slightly. 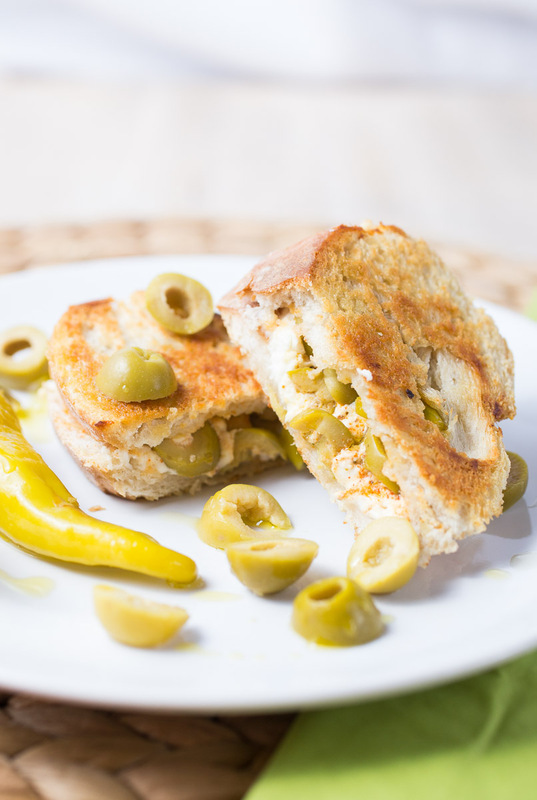 Place into a pan over medium heat and keep flipping the sandwich until it's crispy and golden brown.